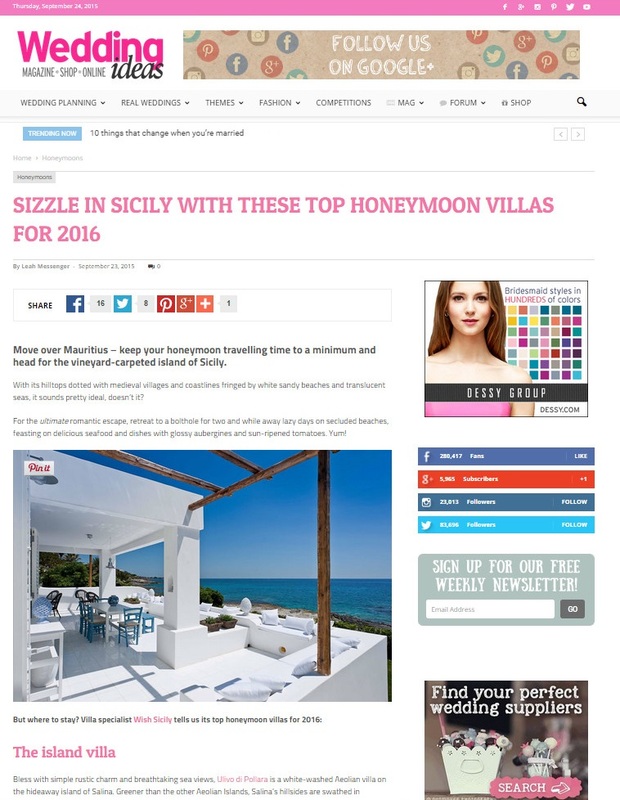 SICILY HONEYMOON IDEAS FROM WEDDING IDEAS MAG. The UK’s number one source of information on weddings, honeymoons and all things bridal turns the spotlight on romantic breaks in Sicily. 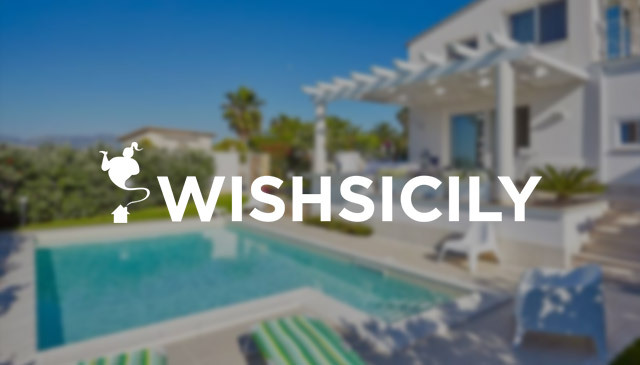 This month’s ‘Sizzle in Sicily’ article features three Wish Sicily villas as top honeymoon spots for 2016. Choose from translucent seas and dazzling views at Casa Blu near Syracuse in the south east corner of the island, simple rustic charm and dramatic sunsets at Ulivo di Pollara in the Aeolian Islands or designer treats at the Hortus Suites in the heart of Modica. Get more ideas for a honeymoon or romantic break in Sicily here.